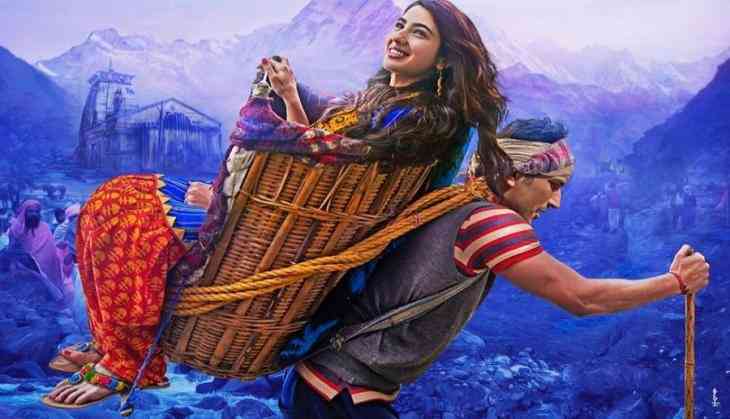 Kedarnath Movie Review: The debut film of Sara Ali Khan starring alongside Sushant Singh Rajput has released this Friday after a lot of controversies. The film has directed by Abhishek Kapoor who had made films like Rock On!, Kai Po Che, and Fitoor. The film was in the discussions for two reasons, one is for the debut film of Saif Ali Khan and Amrita Singh's daughter Sara Ali Khan's debut film and another reason was for the protest against the film. Now when the film has finally released after crossing all the hurdles then it has failed in reviews. According to trade analyst Taran Adarsh, Kedarnath is a dull film and he has just given two stars to the film. Taran Adarsh tweeted, "#OneWordReview… Unconvincing love story... Sketchy and unexciting screenwriting... Few moments [sequences depicting the floods] stand out... Emotions are superficial... Sara Ali Khan makes a terrific debut... Sushant is ordinary... #KedarnathReview"
Significantly, he has praised Sara Ali Khan for the class performance she did in her first film. While many critics have praised Sushant also but they say that there are have more expectations from him after seeing him crossing the boundaries in acting in MS Dhoni The Untold Story.